Anyone that knows me knows I love my coffee. I also love finding coffee shops where I can indulge in my favourite habit. This weekend, we took a trip into the beautiful Shropshire town of Shrewsbury, where we enjoyed the sunshine and I wired myself to the moon with some serious coffee fixin'. This is a lovely little Cafe on Market Street that is, as its name suggests, just off the main Shrewsbury Square. It's a pretty little location, which is central and easy to locate, as well as being just a minute's walk from the main shopping precincts. I loved the decor in the Cafe and the waitresses were just lovely. They make a mean tea cake, which was devoured in record time and my cappuccino was a served in a good sized mug and was excellent. The Cafe also has free wifi and was reasonably priced. 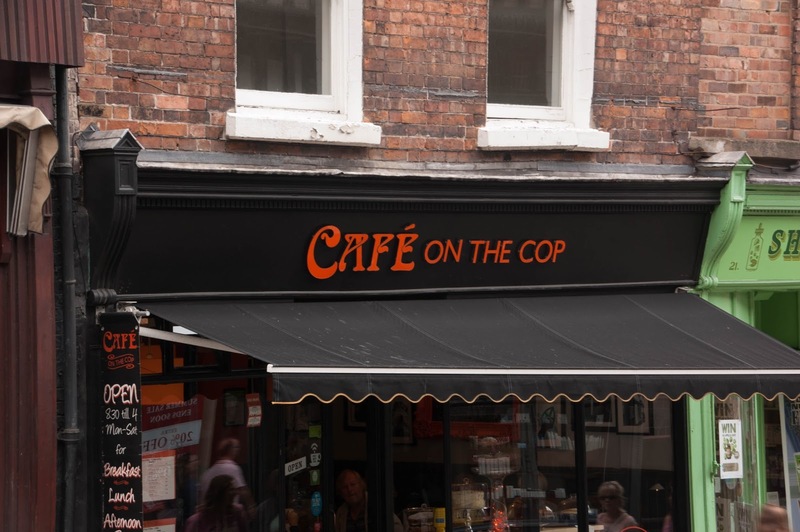 Situated at 20 Wyle Cop, this little Cafe serves up great food in a similar atmosphere. As we discovered, it's a good spot for a bit of people watching as it's very centrally located. The coffee was good and, although we didn't eat, the menu looked excellent, with a great range of homemade cakes of offer. It's an excellent spot to rest up and get your strength back before you hit the shops. Quirky Coffee also boasts a range of milkshakes and more types of tea than I could count. Friendly staff and a lovely atmosphere throughout. I just loved the exterior, too. It's the kind of place that you just CAN'T walk past without checking out. 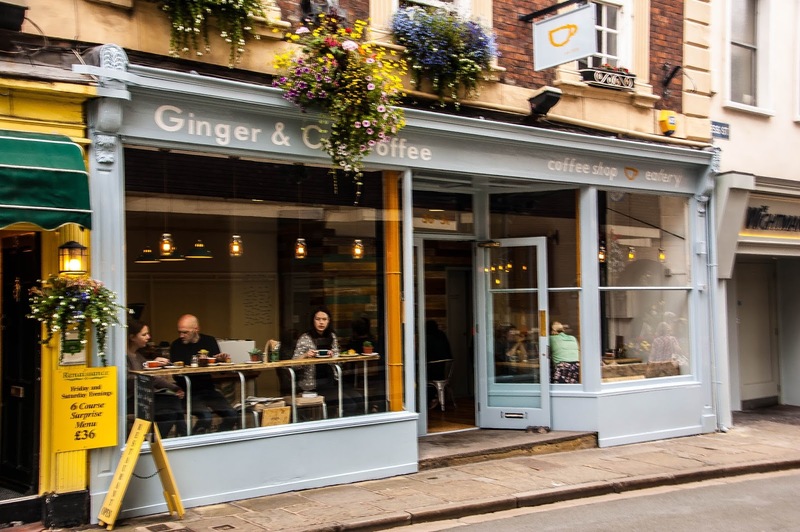 Ginger and Co was successfully launched in 2014 via the Crowdfunding website and is located at 30 Princes Street in the town centre. It's a great pit stop with an amazing range of rolls and sandwiches, in addition to their hot drinks. It also stocks a saliva-inducing array of cakes and calorie filled treats. You deserve one, though, don't you? I know I do. Luckily, I have my own cake eating companion in LT. His hollow legs ensure that he can eat lots of cake, I can write about it, and neither of us gets fat. It's the perfect match. 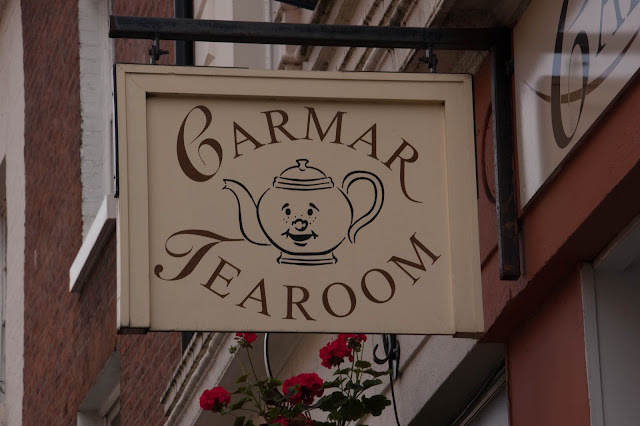 This tea room is located at 38 Castle Street in the town and is a family run Cafe with a sister site in the local shopping centre. It has a great range of teas and coffees (and a variety of syrups, cream and marshmallows to go along with them). They home bake their cakes, muffins, tea cakes, scones, and a plethora of other sweet treats. If you're more tempted by savoury food, CarMar produce their own quiches and burgers, which you can stuff in your chops and tell yourself you won't eat for the rest of the week. Have you visited any Cafes/Coffee Shops in Shrewsbury? Where do you recommend we try next time?